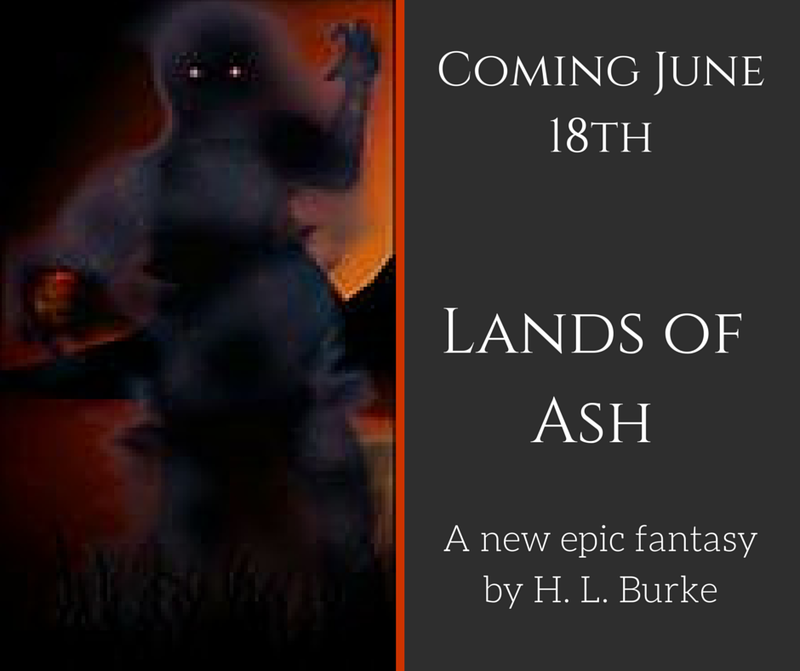 Release Date Announcement: June 18th, LANDS OF ASH! I'm biting the bullet and promising you to have Lands of Ash available in two months. June 18th, my longest book so far rolls out, with smoke monsters, Elementals, betrayal, drama, and world saving heroes ready to sacrifice all to save humanity and one very special child. Pre-release links are not yet live, but you can sign up for email alerts at www.hlburkeauthor.com or follow me on Amazon here for new release alerts. Also watch out for cover reveal posts, first chapter teases, and all sorts of fun in the near future. I'm pretty excited about it! This means I need to get a lot of work done, however.